You rarely get a second chance to make a first impression; which is precisely why finding the perfect event stationery is so important. A great invite should do more than give guests Big Day basics such as time and location - it should them a taste of what’s to come. Metallic finishes and fonts are having something of a golden era, but you don’t have to pair the look with neutrals. If you want your stationery to stand out when it falls through your guests’ postboxes, pairing glints of silver or gold with a two-tone card is the way to go. Our Coral suite is one of our bestsellers and is perfect for weddings with serious flair. Planning a vintage wedding? Then this is the look for you. 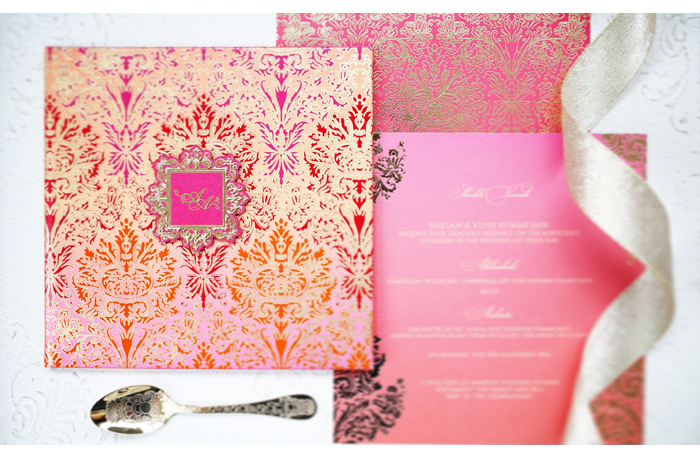 The vintage floral design is similar to mehndi patterns, linking it back to traditional Asian wedding stationery but the blush and silver colour scheme keeps it from looking dated. 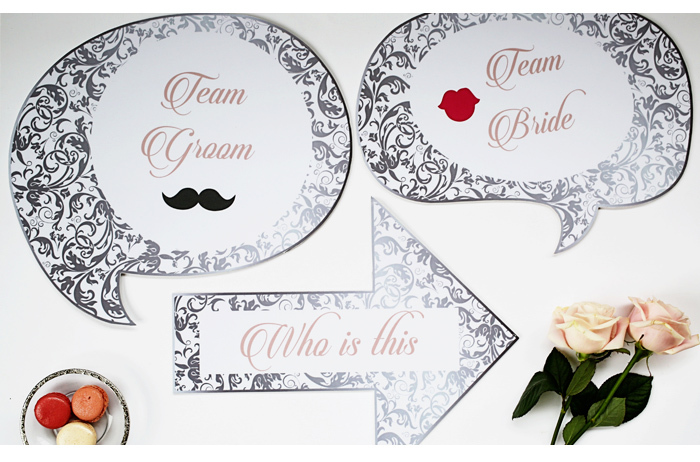 At Originally Yours, we do so much more than Save the Dates and Invites; we can create bespoke photobooth props in the same style as your event stationery to really help you put a stamp on your special day. 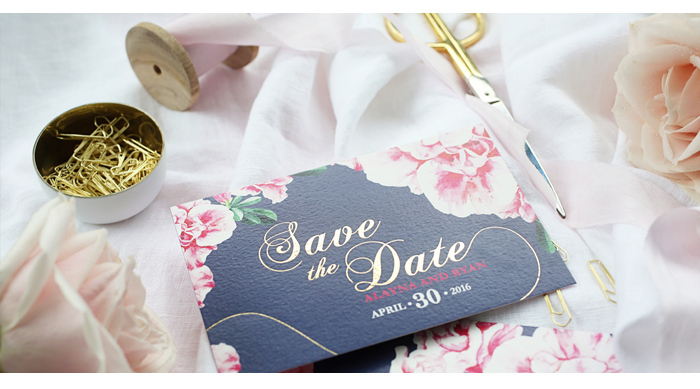 Florals have always been popular in wedding stationery, but this season the look is high impact rather than dainty. Solid blocks of strong colour (pastels don’t feature much here) teamed with cursive metallic font offer a polished finish. It’s not masculine, nor is it overly feminine – it’s the perfect union of both! This is a suite we created for a children's party, but the bold shades and geo patterns are one of our biggest requests. While this could be a bit much for the Big Day, it’s perfect for hen party or bridal shower stationery. 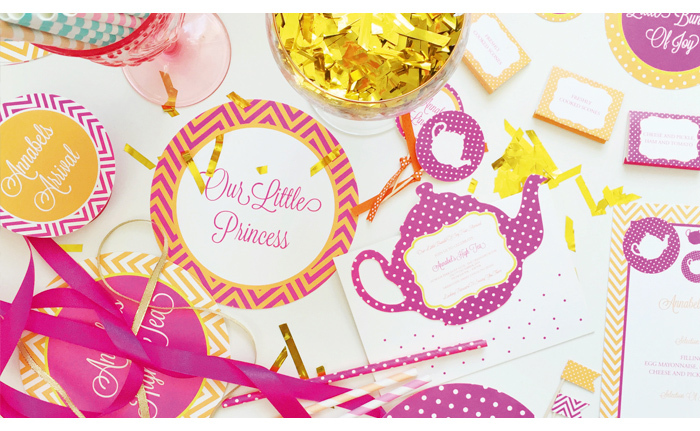 Punchy and pretty, we can do everything from invitations to stickers and tags for games. The only limit is your imagination. 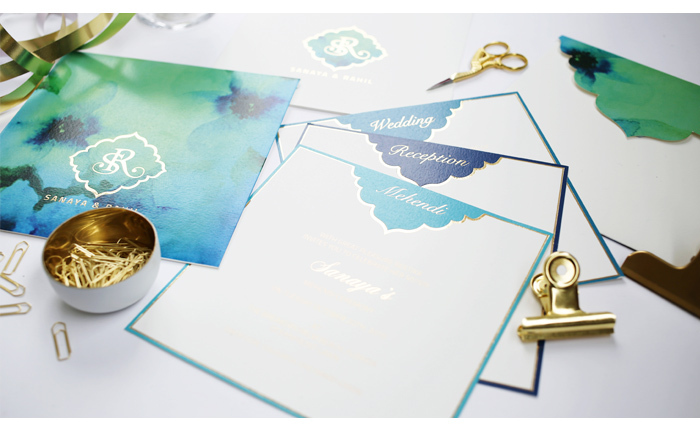 Event stationery inspired by watercolours are set to be the next big thing. It’s the perfect look for mixed faith couples, or those planning a modern wedding. Its beauty lies in its simplicity; just an elegant wash of tonal colour offset with metallic accents.